This is my card for the blog hop! This was such a cute image to work with from Crissy's Digis from Whimsy Stamps called Halloween Witchy Girl. Super cute isn't she. I love how this card turned out. All the colors and shadows just fell into place for me with this image. You should take the time and check out all the other DT's creations for a little inspiration and maybe you'll win some free images from Whimsy. A wee bit of a closer look at my colored image.I just colored out the edges of the image. 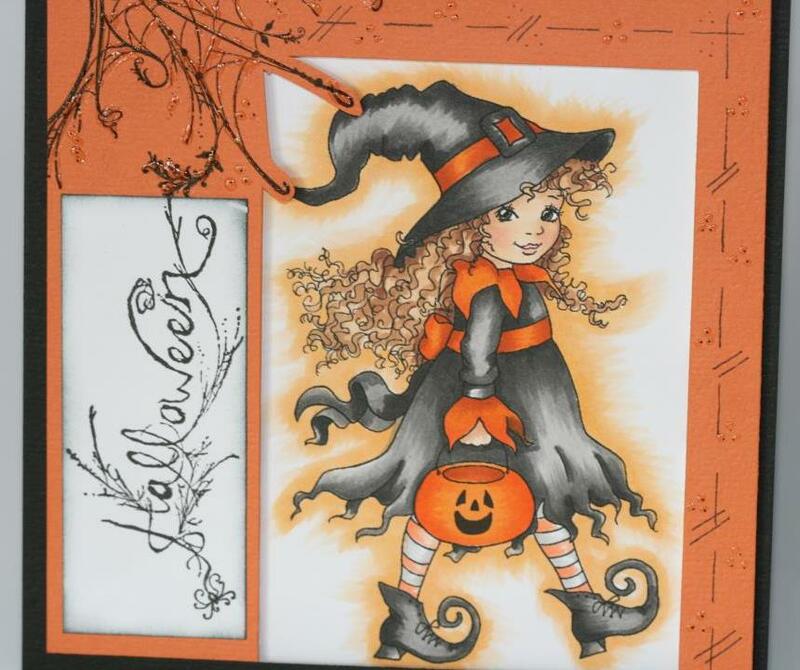 Supplies: Copic markers, Basic grey stamps for the sentiment and spider web and bling, Martha Stewart Halloween gooey punch, Bazzill cardstock. Such a cute image and beautifully colored. 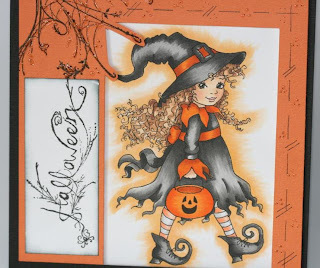 A really cute Halloween card. Absolutely darling! Gorgeous coloring job. Love the layout. Cute, cute, cute card. Love it. TFS. Lovely card Charlene. I love the cute image. thank you for your inspiration on this blog hop. Have a good week. Oh my Goodness!!! This image is super adorable!! LOVE your card showcasing her!! 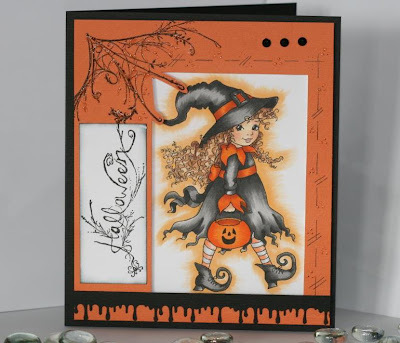 So wonderful...very nicely done, love the colors...great job...fun blog hop! I am in love with your card! You did a perfect job! What a cute little Halloween image too!